“Architectural visionary” David Adjaye has been named among Time magazine’s 100 most influential people of 2017 – and is the only architect to make the list. While last year BIG founder Bjarke Ingels was the sole architect on the prestigious Time 100, this year only British architect Adjaye was recognised. The accolade follows a momentous year for the Adjaye Associates founder, who recently turned 50. He completed the career-defining Smithsonian National Museum of African American History and Culture in Washington DC, won the London Design Medal and received a knighthood. In a citation written by Thelma Golden, director and chief curator of the Adjaye-designed Studio Museum in Harlem, the architect is described as “one of the great architectural visionaries of our time”. “His work – deeply rooted in both the present moment and the complex context of history – has envisioned new ways for culture to be represented and reflected in the built environment,” said Golden. “Nowhere is this more evident than in his recent triumph on the National Mall,” she continued. Time 100 is an annual ranking of the people the US magazine judges to be the most influential in America. Other creatives on this year’s list include fashion designer Raf Simons, filmmaker Cindy Sherman and writer Margaret Atwood. Adjaye said he was “truly humbled” to be among them. “Having the opportunity to design the National Museum of African American History and Culture has been one of the greatest honours of my career,” he said. 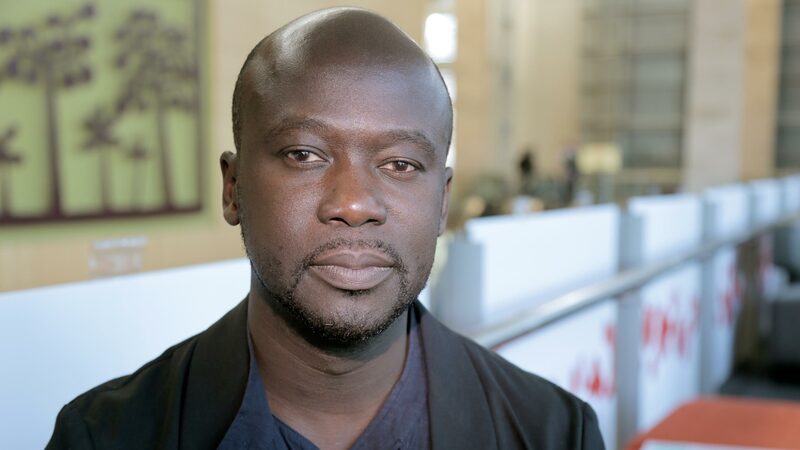 Adjaye was born in Tanzania, but is now based in London. He made his name on projects including the Dirty House and the Stephen Lawrence Centre, both in London, but is increasingly working abroad, with projects in North America and Africa, as well as Continental Europe. Upcoming projects include a cancer treatment centre in Rwanda and a major new art museum in Latvia. He ranked at number 41 on the inaugural Dezeen Hot List – our own countdown of important names in architecture and design, generated by audience statistics. Previous Who pastors the pastor? Even ministers suffer from suicidal thoughts.